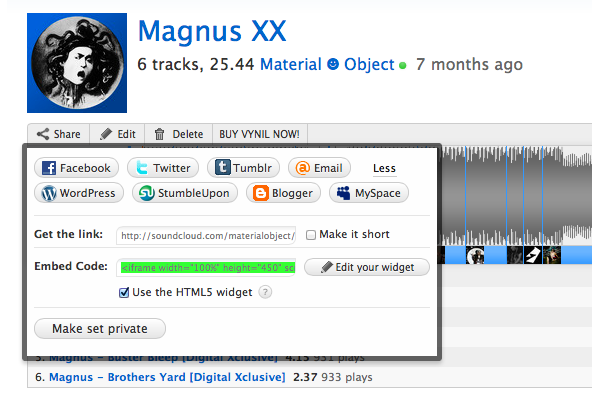 GigaTools Blog» Blog Archive » Add a Soundcloud Set to each of your Gigs! 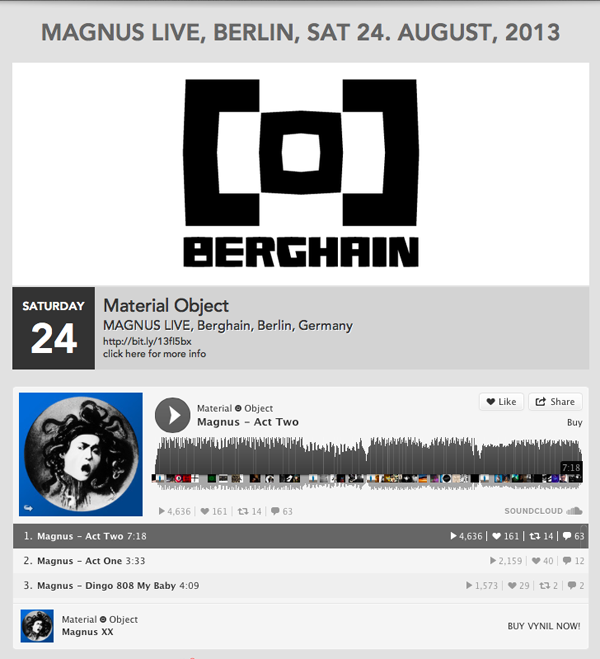 Would you like to promote your Gig more by including a Soundcloud Set on your Gig listing page? Now you can! Simply paste a Soundcloud Embed Code into your Gig when adding it to GigaTools and it will show up on your Gigs listing page. Be sure to use a Soundcloud Set, not a Track. This entry was posted on Wednesday, September 4th, 2013 at 4:16 pm and is filed under Help, News. You can follow any responses to this entry through the RSS 2.0 feed. Both comments and pings are currently closed.